Brandon University's downtown initiative is an exciting development that will be transformative for both the University and for the entire city. 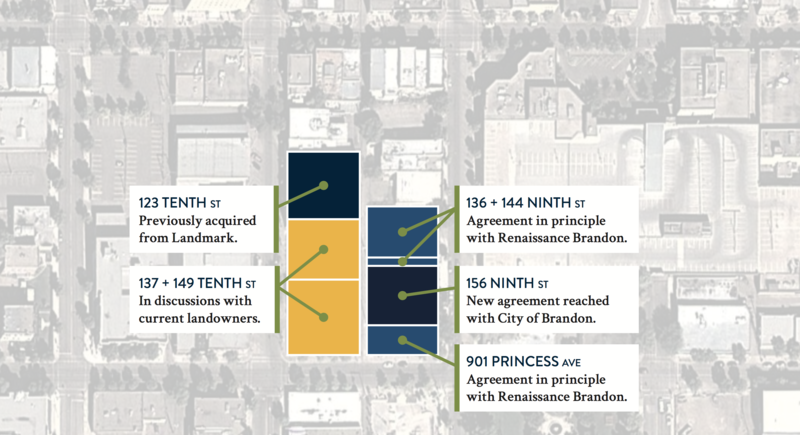 Brandon University (BU) has reached agreements through the approval and support of the City of Brandon and Renaissance Brandon to expand its downtown footprint significantly. 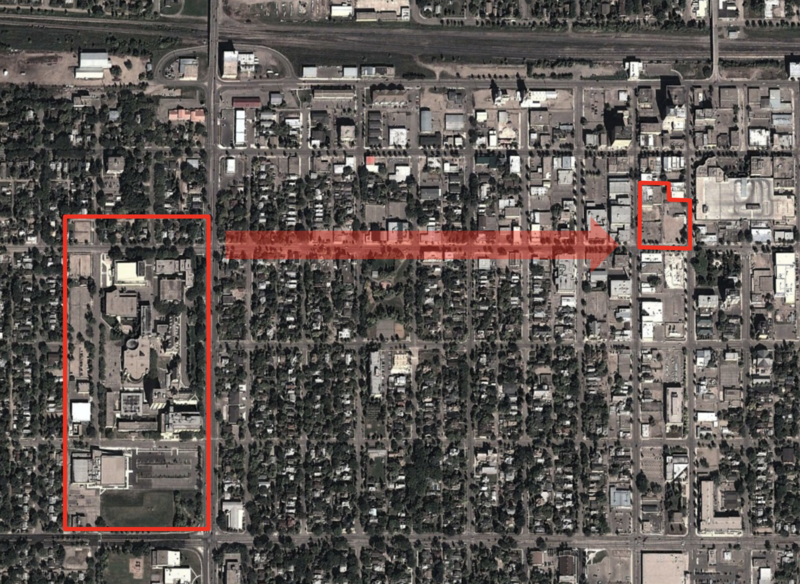 A motion passed by Brandon City Council on Monday night, Feb. 6, and an agreement in principle reached with Renaissance Brandon, will increase BU’s new downtown holdings to five parcels of land on the 100-block of downtown Brandon between Ninth Street and 10th Street adjacent to the former Strand Theatre. Yielding tremendous value to the city and to the University for years to come, the land transfers are at minimal dollar value to facilitate the initiative while not straining the University’s financial resources. 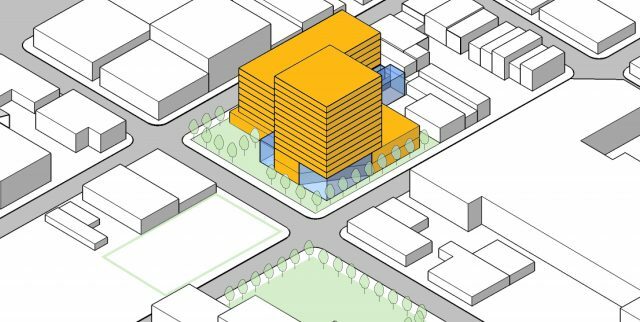 Favourable discussions are also underway with a private landowner to acquire two more neighbouring properties which would complete a parcel of nearly 70,000 square feet for the future development. 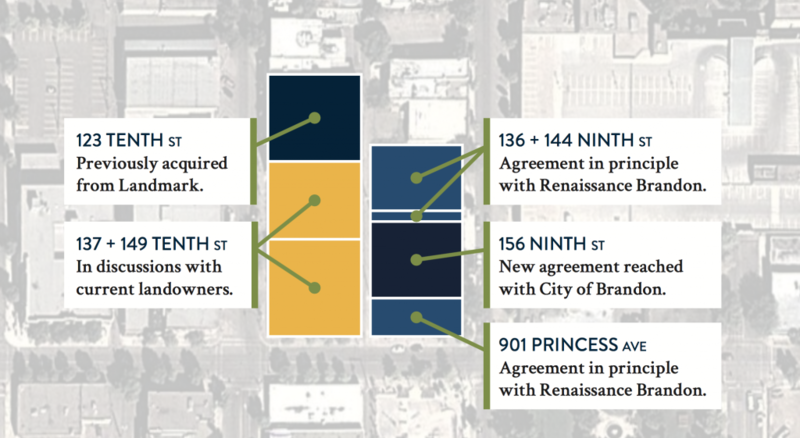 The new parcel of downtown properties is very close to the existing 18th Street campus. The property being assembled covers the entire vacant southern half of the 100-block between Ninth Street and 10th Street at Princess Avenue. The University is committed to a development that will add value to the existing neighbourhood, bringing new amenities and vitality to the downtown core. Brandon University is assembling several pieces of adjacent property in the 100-block between Ninth Street and 10th Street. Brandon University is already building new community partnerships. Discussions with senior housing group Servants of Service to explore combining a student residence with a seniors’ residence have been fruitful, and the University and Servants of Service have completed an initial senior’s housing survey. This partnership will extend the benefits of the downtown initiative beyond the University to support housing for seniors who also face a tremendous shortage of available or affordable space within Brandon. “We’re very pleased with these developments. There’s a clear demand for affordable housing for people of all ages in Brandon. Rather than working in silos, this concept will allow us to share design and project costs that seemed to be duplicated in the past,” said Jim Brannan of Servants of Service. He says students and seniors have a lot in common in terms of residential requirements: smaller spaces, laundry facilities, and easy access to food outlets, banking, professional services and a great transit system. Future commercial partnerships could include offices, retail or food service in the building, and the University will be exploring options for development partnerships and other innovative arrangements. With the decision of Brandon City Council and the arrangements with Renaissance Brandon, BU will now dig deeper into refining a vision for the future of the downtown campus and will establish an advisory committee consisting of BU faculty, staff and students as well as community representatives to develop and consider future uses for the property. On March 9, the Campus Master Plan process will continue, with an open house held for members of the public, along with students, faculty and staff, to share their ideas for the development, as well as possible partnerships. An engineering assessment shows that the decade-long and unfortunate deterioration of the building makes restoring the former Strand Theatre not feasible. Nonetheless, BU is committed to salvaging and preserving the building’s key cultural and historical details. Before the existing structure is taken down, experts from BU and the community will document the building’s history for the S.J McKee Archives at BU, and for display in the new downtown development. Brandon University aims to preserve elements of the building and its design in a fashion that is complementary to the area and future development of the downtown core. The BU downtown initiative will be transformative for the city. A mixed-use development anchored by BU is expected to encourage further investment and revitalization in the area. The University is continuing discussions to finalize arrangements. As BU’s downtown initiative continues to unfold, the priorities that remain front and centre are academic excellence, serving students, supporting faculty and staff and building possibilities for the university for decades to come. Brandon University invites everyone to be a part of the downtown vision by sharing their thoughtful comments online at BrandonU.ca/Downtown and by participating in our next Campus Master Plan open house on March 9.